The rumors have been floating around for quite a while, but now it’s been confirmed: Samsung will be manufacturing Qualcomm’s upcoming Snapdragon 820 chips. The Korean company announced that it’s begun mass production of the chips using the 2nd generation of its 14nm FinFET process, the same technology that will be used to make the firm's upcoming Exynos 8 Octa processor. Incorporating three-dimensional (3D) FinFET structure on transistors enables significant performance boost and low power consumption. Samsung’s new 14nm LPP process delivers up to 15 percent higher speed and 15 percent less power consumption over the previous 14nm LPE process through improvements in transistor structure and process optimization. In addition, use of fully-depleted FinFET transistors brings enhanced manufacturing capabilities to overcome scaling limitations. With its superb characteristics, 14nm FinFET process is considered to be one of the most optimized solutions for mobile and IoT applications and is expected to meet growing market demand for a wide range of high performance and power efficient applications from network to automotive. The announcement comes after Samsung moved away from using Qualcomm chips last year. The first generation of the Snapdragon 810 had faced heating issues, causing Samsung to use its own Exynos chip in the 2015 Galaxy lineup. Qualcomm eventually resolved the issues and the chip now powers top-end devices such as the Nexus 6P. The Snapdragon 820 was announced in November last year. At the heart of the system-on-a-chip is a custom 64-bit quad-core Kyro processor, which measures in at 2.2GHz. Qualcomm says it’s twice as efficient as its 810 predecessor and delivers twice the performance. Graphics wise, the 820 boasts an Adreno 530 GPU that’s capable of supporting 4K Ultra HD displays and cameras of up to 28 megapixels. Again, Qualcomm says this is vastly superior to its predecessor – the 530 is 40 percent more powerful than the Adreno 430 GPU used by the Snapdragon 810. Qualcomm claims the new GPU will enable console-quality gaming on mobile devices, as well as next-generation virtual reality applications. Additionally, the 820 features an integrated X12 LTE modem that promises 600Mbps download/150Mbps upload speeds and TruSignal antenna boost for keeping signals strong and stable. It’ll also support the new 802.11ad wifi standard. Samsung has declined to comment on whether the 820 will power its upcoming range of smartphones, such as the Galaxy S7, but rumors suggest that this will be the case - at least in some models. 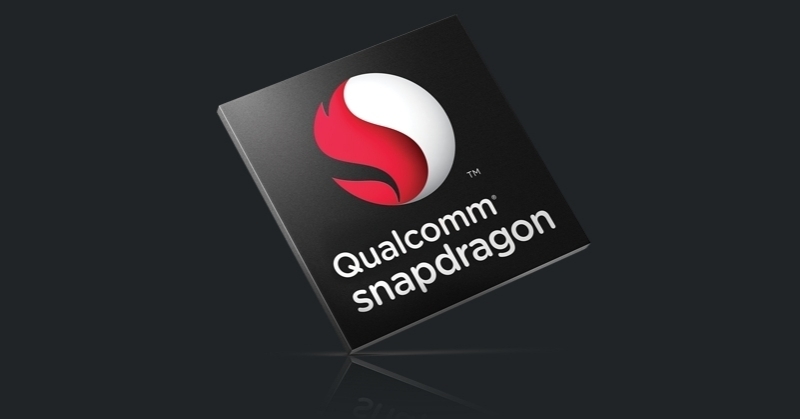 Expect the Snapdragon 820 to feature in a number of manufacturers’ flagship devices this year.